All from same vehicle...work great. 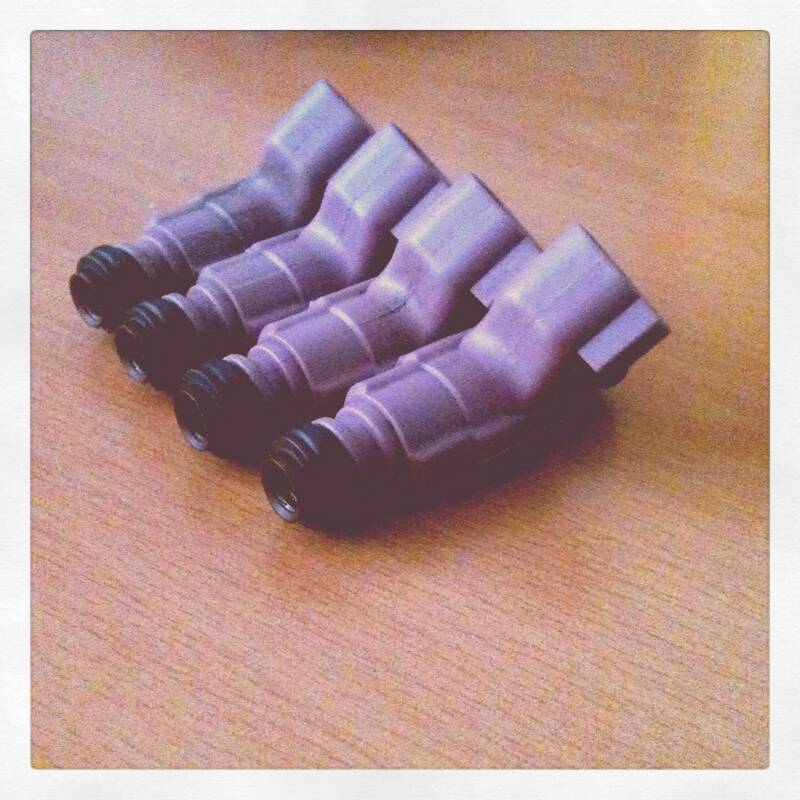 They are stock '03 SRT injectors. 527cc, high impedance. Are these even still for sale? Ed, that's what they call them. They're just stock ones. I've hear many people call them stage 0 ones, it's weird. lol well i dont think i know what to call them other than the pink ones..lol anyway im doing a 2.4 turbo build and already have stage 1's but i was informed a week ago after getting them that they work. whats yall input on it. the info came from the big org. Just keep the stage 1s and pull more fuel. If you're doing FIC then it's easy. Also easy with megasquirt. only thing i have is a rrfpr and walbro 255 cud i stil use the stage 1's . i heard with 1's and a rrfpr u cant set the base pressure exactly rite so ur rich all the time. This is my first build and ive done alot of research but the fuel and "tune" seem to be some very complex stuff. But ill get it. I also read that you can do a good street tune with a nice scanner. i just got the Snap On Verdict today hoping this will help with the build. ( and no i bought it for my shop not for the project i just heard that it will make life easier than paying someone to tune it? idk) please chine in if you know anything about what im babbling about.